Maybe they wouldn't mention her so often if wasn't the standard bearer for the resurgent far left wing of the Democratic Party. The Green New Deal is comical to read, yet it was proposed seriously and was endorsed by older Democratic Party leftists who should have known better. So if the Right is having a field day with it, chalk it up to the Left's astounding stupidity and hubris. It deserves to be mocked. Repeatedly. Until someone on the Left finally admits it is stupid. right then. it is much easier to focus the attention onto the feeble AOC as opposed to whatever the trump might be getting away with. 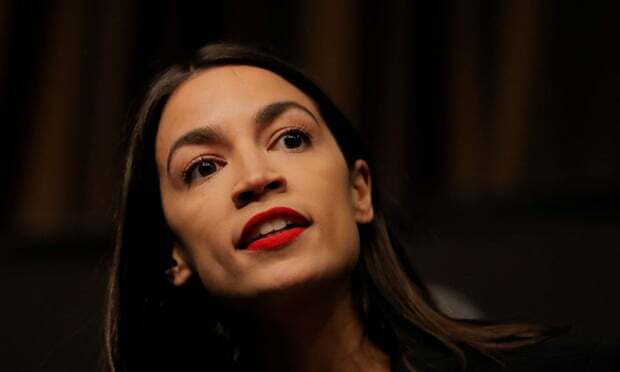 AOC is the face of the government and the New America. Fox has to bash some one, as long as they are DINO. Fox is not news it is news readers and puppets.